In season 2009–10 under the guidance of newly appointed manager Martin Swales Ryhope won the Monkwearmouth Charity Cup for the first time in 44 years as well as being runners up in the league their highest position also for 44 years. Season 2010–11 however was the most successful in the club’s history, winning all four competitions the Wearside League Title, Sunderland Shipowners Cup, Monkwearmouth Charity Cup and League Cup.This was only the third time in the history of the League that this has been achieved by a club. 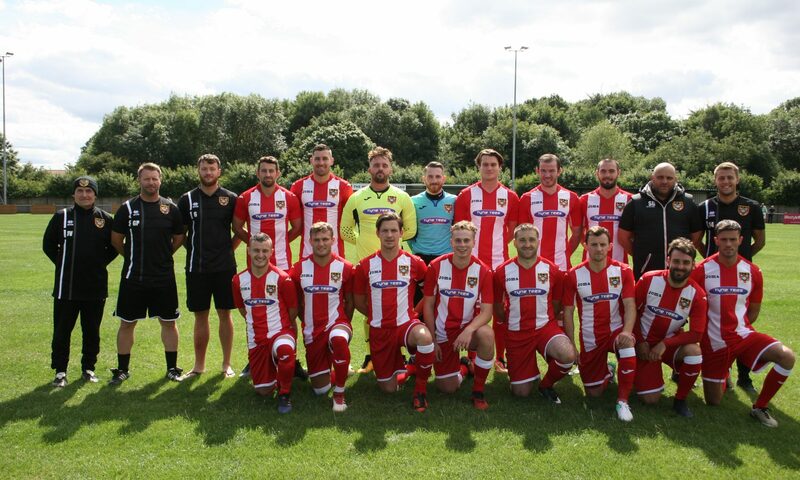 However, in season 2011–12 Ryhope repeated the feat of the previous season winning all four competitions and gained promotion to the Northern League for the first time in its history. It ended the season having only been defeated once in its last 70 Wearside League and Cup games. The team continued its success in season 2012–13 finishing runners up to Crook Town and gaining promotion to the Northern League 1st Division at its first attempt,losing only three games and scoring 147 league goals. However, due to off the field ground grading issues, rather than making the step up the club was relegated back to the Wearside League. It was a decision taken by the Northern League Management Committee and endorsed by the FA. Season 2013–14 saw the team back in the Wearside League and finish runners up to Stockton Town and with the ground issues solved the team again was promoted to the Northern League 2nd division for the season 2014–15.